The wonderful lady who is takes care of our hair told the girls last year about the organization called " locks of love." This is an amazing organization that uses to the donated hair to make wigs for cancer patients. This is something that the girls thought was a great thing to do and also Pearl had been asking for such a long time to get her hair cut,It was a little harder for Ruby to come to the decision. But in the end Ruby and Pearl gave up 9 inches of hair. Jade would have loved too but she did not have that much to give !!!! late bloomer. So she got to have a little trim to make her feel part of the action. moon, Ruby did not know whether she had made the right decision !!!!! And just to add to that her hair has been the slowest to grow back. We are very fortunate to have the coolest stylist out there. When we go the girls get to paint their nails and even make cookies sometimes as well as get cool colors in their hair. Time For More Dance ! Time is slipping away from me this year!!! I am looking back on last years photo's that I have just downloaded from my phone ( I am sure nobody else does that) and see that we are about to be recital season. Last year the girls danced in all three shows on one day. That was a test of endurance if ever I saw one. But I must say that they gave all their energy to each and every performance and it did not hurt that they had a good supply of candy to keep them going all day, mind you the end of the day was not pretty. Jade always amazes me that sometimes she could care less about going to dance class but when she is on the stage she loves every minute of it. 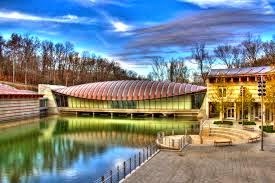 When visiting NWA one of the must do's on your list of places to see is Crystal Bridges Museum. The museum was founded by Alice Walton of the Wal-mart family. It opened in 2011 and offers free admission to the public. 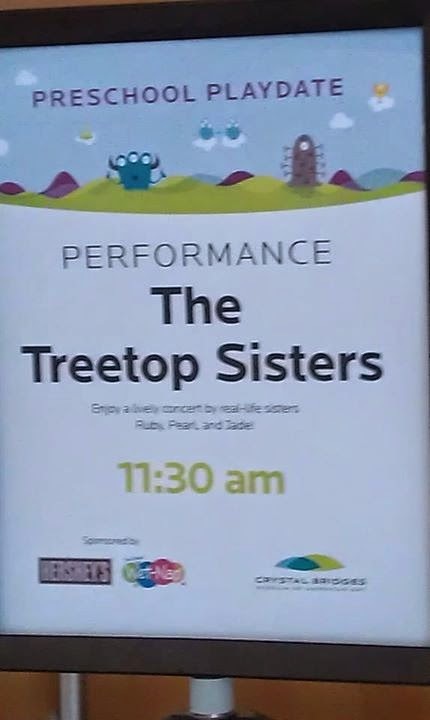 They have a number of live music events and the girls were lucky enough to be invited to participate in the pre-school series, The girls had an incredible time and loved being asked, it was definitely a highlight. Pearl is sound checking and getting ready to sing. Jade on the other hand is probably thinking of all the cool things to do in the children's art area after she finishes the performance. One of the fun things about this venue was the space that the girls and the audience had to work in. The preschoolers had no problem joining in the with the girls and busting a move !!! I think the girls learned some new moves. I on the other hand had lots of extra singers and they gave me lots of information on their pets and and animal sounds.